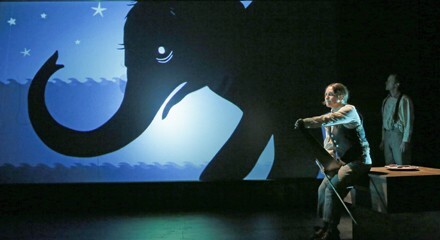 According to Reader contributor Justin Hayford, Chicago Children's Theatre's play The Elephant and the Whale, currently in production at the Ruth Page Center for the Arts, "isn't necessarily for children—call it a childlike play for adults." Both property of a janky family circus in the early 20th century, an elephant and a whale strike up an unlikely friendship and hatch an elaborate plan for escape. Jerry's Sandwiches hosts a prix fix dinner featuring an original menu paired with Founders brews. Registration required. Jugrnaut hosts a listening party for local hip-hop wunderkind Chance the Rapper's new mixtape Acid Rap. As a primer, be sure to read Leor Galil's recent feature story on Chance and his recent success.